In a time when massive numbers of people are living in debt, with poor job security, and the whims of an unpredictable economy looming large overhead, it can easily be argued that thrifty living is more in demand than ever. That’s not to say that people have to live miserable lives eating bowls of gruel, and never leaving the house in the interests of saving money. When it comes down to it, thrifty living is all about making small, manageable, and sensible changes to our basic behaviors in order to minimize waste and free up resources for greater financial security — and to spend on the things in life which matter most. 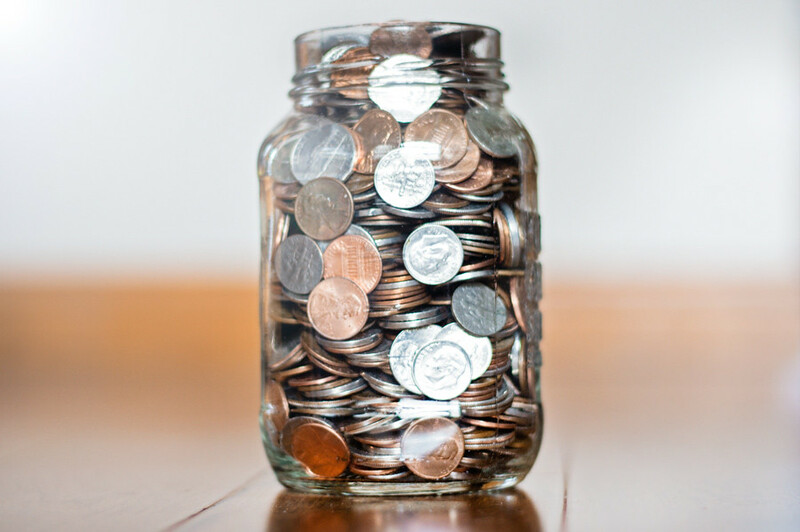 Here are a few easy and effective tips for embracing thrifty living today. Many of us in the digital age find ourselves signed up to a wide array of digital tools and online services. The subscription costs for these usually seems reasonable enough on an individual basis, but with several active subscriptions to several different services running at once, we can often find that we’re bleeding a substantial amount of money away on a regular basis. While some subscriptions will genuinely add to your quality of life or ability to successfully carry out your day job, it’s also entirely like that some are just unnecessary drains on our finances. Are you using a digital invoicing service when simple Microsoft office documents would be enough to allow you to achieve the same result? Does that Spotify premium account of yours get much use, or is it just something you keep because you like the idea of it? And does that digital checklist software really carry out an essential function that an old-fashioned Filofax wouldn’t? If you don’t have a clear sense of where your money’s going, it’s going to be all but impossible to identify areas of waste and rectify the issue. Budgeting is essential to good financial management, whether you do decide to pay for an online service such as YouNeedaBudget.com, or use a more traditional method. You must keep a list of budget categories for things like “entertainment”, “bills”, “fuel”, “groceries”, and allocate your income to these groups effectively. The aim of your budget should be to give every dollar a job, so that you have no extra just “floating around” waiting to disappear through the cracks. It’s entirely possible that this step alone, without any of the other thrifty-living tips, will lead to make great savings and free up disposable income literally overnight. Though you shouldn’t necessarily try and hang on to a completely ruined home appliance indefinitely for the sake of saving money, while having a terrible time trying to get a basic level of use out of it, you shouldn’t just splash out and buy a replacement as soon as you notice the performance of one of your appliances faltering. (This, of course, doesn’t apply in cases where a broken appliance presents a safety hazard. Replace those immediately). Instead, when you notice that something is on the way out, you should begin saving for a replacement, bit by bit. Of course, you could also try your luck with free giveaways from sites such as Best Products Pro. This allows you to gather the required resources in a stress-free fashion, and also creates a time buffer which allows you to do your homework and avoid the temptation towards impulse buying. If you’ve got unread books, try to discipline yourself to read them before buying new ones. If you have a certain gadget, video game, or CD, use and enjoy it instead of just putting it aside as soon as the thrill of the purchase wears off. One of the best ways of keeping ourselves from wasting money is to learn to be comfortable with what we’ve already got, to appreciate those things, and not to feed the kind of instant-gratification mindset that fuels constant impulse-buying for the sake of novelty. That’s not to say that you should never buy yourself new, fun things, but that you should make sure that you’re actually enjoying the things you own and getting the most out of them. Impulse buying is one of the main reasons for living outside of our means. By forcing ourselves to consider new purchases for a week or two before making them, we allow rationality to come into the equation, and we prevent ourselves from making financial decisions based solely on momentary excitement. This is a great practice to adopt, as it trains us to defer gratification, while not denying us the ability to make new purchases. Rather, it just forces us to make them with a cool head rather than in the heat of the moment. Often, reckless spending is driven by the desire for excitement and novelty, in the form of constant spending and the purchase of new, shiny toys which often lose their lustre and appeal in a few days. But no one, on their deathbed, ever sat back and fondly remembered all the gadgets they’d ever owned. Instead, they reflect on the relationships they’ve had with other people, and the experiences that have enriched their lives. Try and get your kicks through your experiences and your interactions with other people. It’s a better approach. Removing clutter from our physical environments boosts our mental focus, and makes it easier to get a handle on our possessions. We are more easily able to identify the things we don’t need, and we may even rediscover lost treasures that we’d forgotten about. A core part of thrifty living is reducing clutter. This skill comes with practice — but sometimes we overestimate just how much luxury we need to feel happy, and are too easily swayed by attractive advertising slogans. Try and see past the glittery sales pitches and propaganda. Do you really need the latest iPhone, or are you still able to make calls, send messages, and take photos just fine with your current model?